The sun shines from behind fading clouds on a summer night as folks at The Oasis, a popular Austin, Texas, restaurant, enjoy a Texas Hill Country sunset. 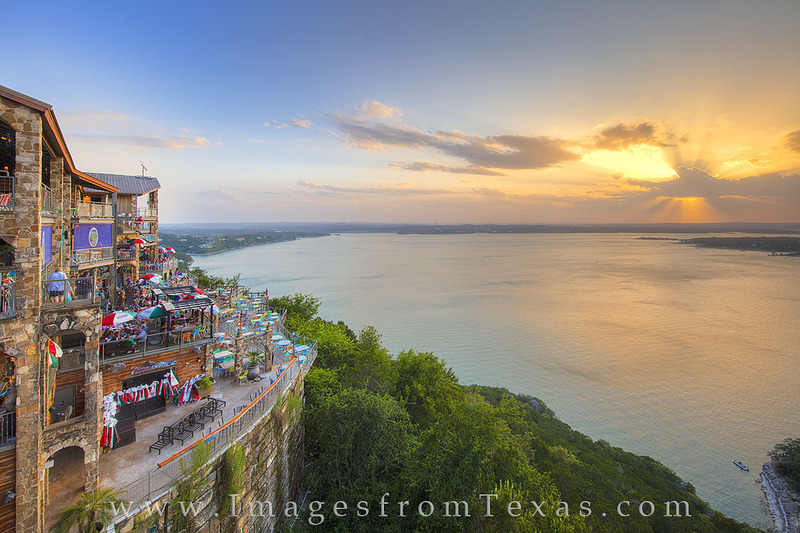 The waters of Lake Travis are calm and everyone seems to be enjoying their time at this Austin icon. Photo © copyright by Rob Greebon.